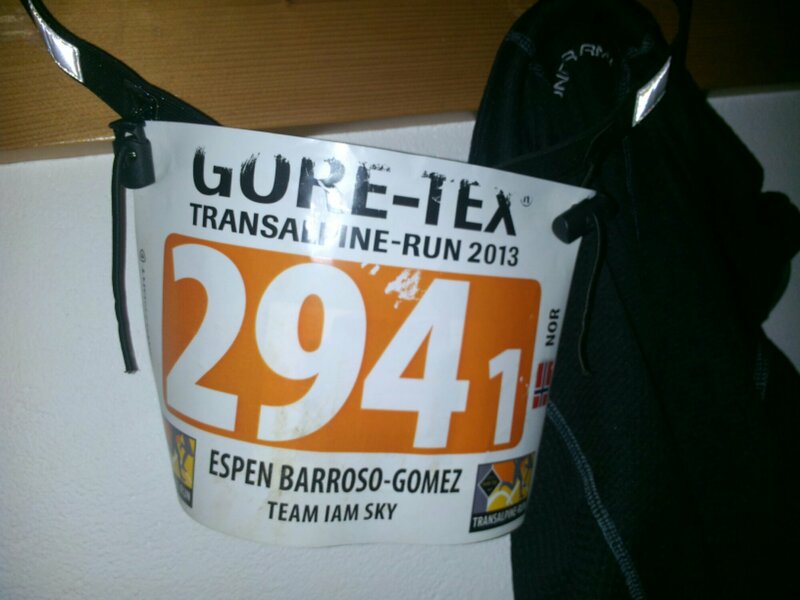 The Gore-Tex Transalpine-Run 2013 is over for now, and what a trip it was.. I had looked forward to this for a long time, especially over the last few months of summer, and it was not in any way a disappointment. Sure, there are things I would like to try and do differently another time, but for being the first time, it met all my expectations. The scenery was larger than life, the race was well organized, the fellow runners were all happy and fun to be around, and so on. Yeah, there were minor annoyances, like pasta cookers not being able to keep up with demand, but such things never detracted from the general feeling of experiencing something big and really different. I think perhaps the best part was in fact the total distance and time – in other words, there were so many memorable moments along the way, and it went on for a week, so there was ever more and more.. The last stage started with an upbeat feeling, not just for our team, but in general, because everyone knew now that they had only one mountain range between them and the final finish line, and nothing short of sudden disaster would keep them from getting there. This time – as opposed to yesterday – the main ascent was at the start of the day, and it started almost right away. 1272 meters of ascent in 8,4 km is still a challenge, and wore down a lot of the enthusiasm we saw around us in the beginning, but we knew that at the top, the 3119 m Madritschjoch, everything else (in comparison) was going to be downhill. I have to admit I had mixed feelings about that. With an inflammation in the shin that was getting a little better, a lot better on climbing, but sometimes a lot worse in downhill, knowing that first 6 and then 13 almost continuous kilometers of in some cases very steep descents lay ahead, was scary. It did turn out OK in the end, but I remember these downhill tracks as something that was a great pity I didn’t have opportunity to fly down (I love downhill running, and flying from rock to rock). 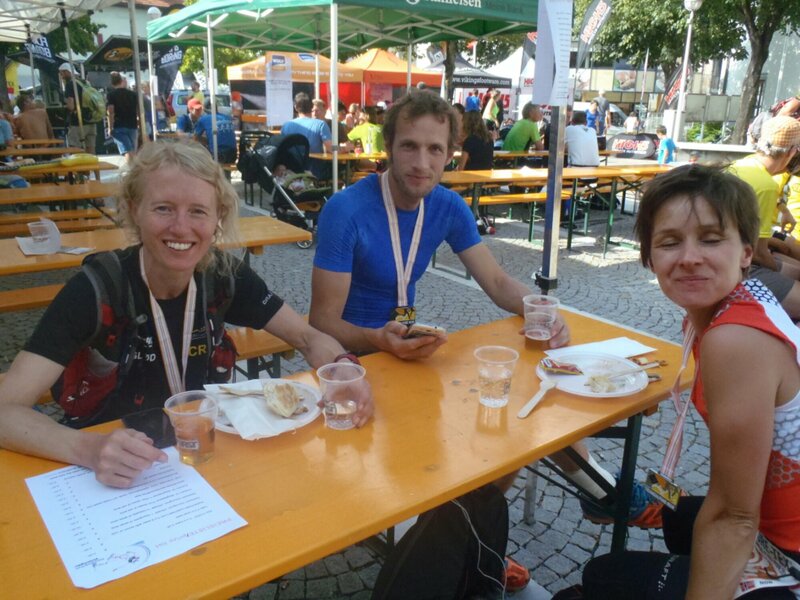 But I had greater respect for the continued well-being of my left leg, and in addition, my running team partner Elisabeth did not have a lot of downhill practice, as many others in the race, so especially the last day of so much descent, was hard on her legs. So we took it easy, zigzagged our way down first to the tree-line, then through the forests, and into the land of apples around the town of Latsch. 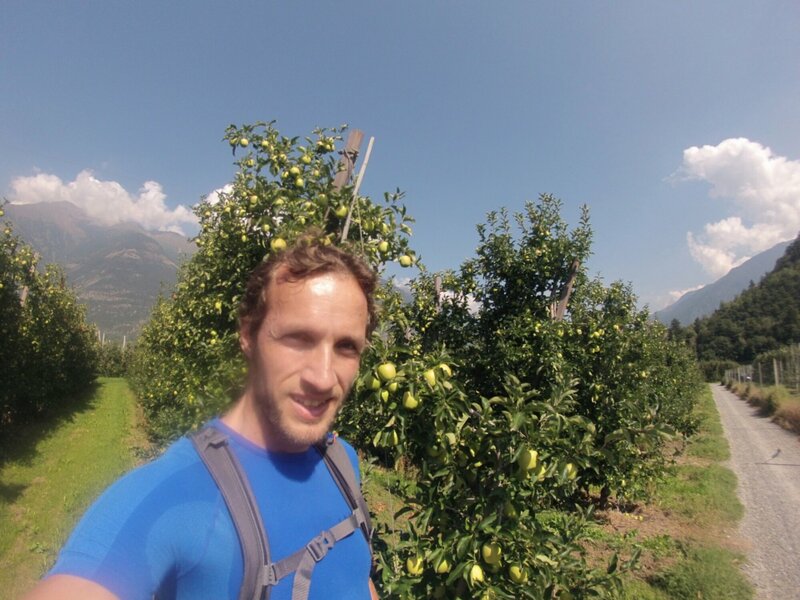 Even the last 2-3 km were downhill, though much less steep, but they also transported us through rows and endless rows of heavy apple trees. In the sun and warmth at lower altitudes, this was a very nice way to get to the end, and we found extra energy to pick up the speed – not quite a burst of speed, perhaps – and dash across the finish line in the center of the town, earning a medal around our necks. It was a great feeling, and it certainly was fantastic to just relax, wander around, stand in the city square fountain – and perhaps even more – enjoy fresh beer and freshly made sausages. And then, just a few hours later, at the final pasta party, we were finally awarded our now well deserved finisher t-shirts. I have to admit that at this time, around 9 pm in the evening, tiredness was starting to creep up on me, and rather than partying all night (well, I can’t imagine that anyone did that), I left rather early and went to sleep. On the other hand, even after all these days, I woke up rested and hardly sore or feeling bruised, so I definitely did something right! 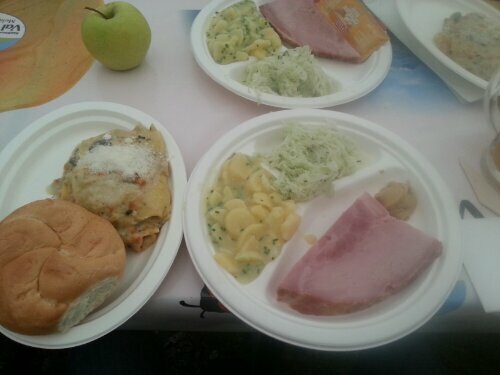 The galla dinner pictured above..
Planning to write one more post about the race, summarizing the whole of it and listing some timing information and other info, for future reference. Take care, and to anyone running the Oslo Marathon tomorrow: Good luck! Doing a twist now and switching to a English at least for this post, which I’ve been considering for all of the entries, due to ease of reading for my non-Norwegian friends and colleagues, while comparatively, the rest of you are very fluent in English. This time it’s simply because some of my notes were in English (my native language isn’t Norwegian, so I often think and jot down notes in English). 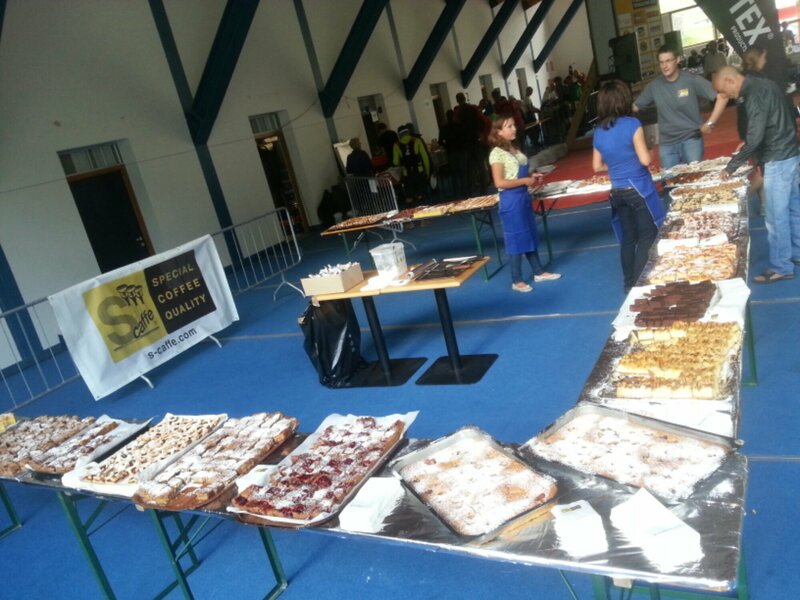 A little meta info interjected here: This post is published (and partly written) a week after the stage, due to the combination of bad wifi, a hectic trek home after the last stage, and then the onset of an unforgiving regular day to day routine. Thus the title – it’s my attempt at a reboot, and hopefully it’ll be read and appreciated, nonetheless! 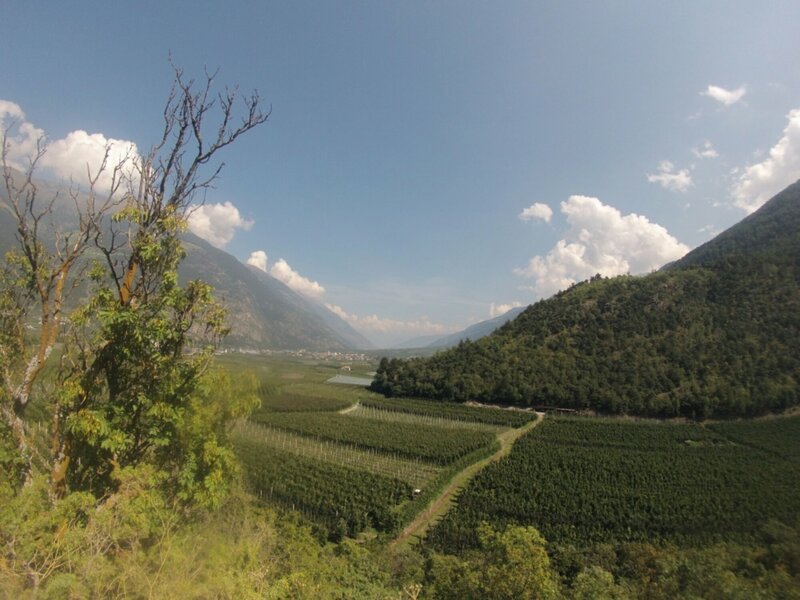 The next to last leg of the Transalpine adventure was the trek downwards along the valley from St. Valentin, in a stark change of elevation profile from the former stages. With the first 30K being largely downhill, and then at the end, the big climb, there was ample opportunity to wear oneself out on the plain. Most runners I spoke with found this profile much more challenging, than starting the day climbing, as we’d done previously (and would again the day after). 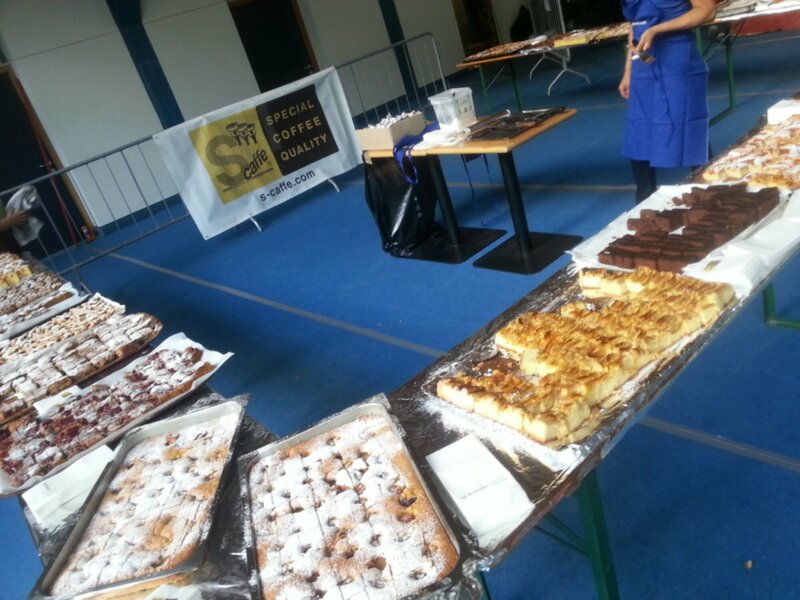 OK, then; ready to go! And after all, I was taking it relatively easy. Looking at the very impressive finishing times of the stage winners, I still think an hour or two could be gained on them, but as this was the first time running this race, I still held on to a very healthy respect for the overall massiveness of the distance and altitudes involved. (And the leg that hurt, certainly helped me not getting overconfident..) Next year, though, I’ll make sure my toenails won’t be causing me grief on the downhills, and thus tormenting my shin muscle..! As already mentioned in the blog at DN Aktiv (which for not fully known reason was somewhat edited at times, for example everything about my associated club – Blodsmak Sportsklubb – was consistently removed with no explanation), this stage was a very dry one.. Or in other words, it was an effort to stay hydrated, especially at the end, the final 13-14 kilometers, as well as, to a lesser degree, stay nourished. The weather probably contributed to this; although not very warm, it was humid, and I think a lot of us used up more water than we expected. Even with the gradual downhill in this stage, but then again elevation profile even for the first 29K would have been considered rough in normal circumstances. I observe that Endomondo – which consistently exaggerated distance a little when the terrain was very steep and the paths very winding – calculate a hydration requirement for my run for the day at 6.5 liters. That’s by far the highest number I’ve seen from Endomondo so far, and although I’m pretty sure I drank perhaps only 3-4 liters, it a times felt like I’d have needed almost 6. It went rather well, though. 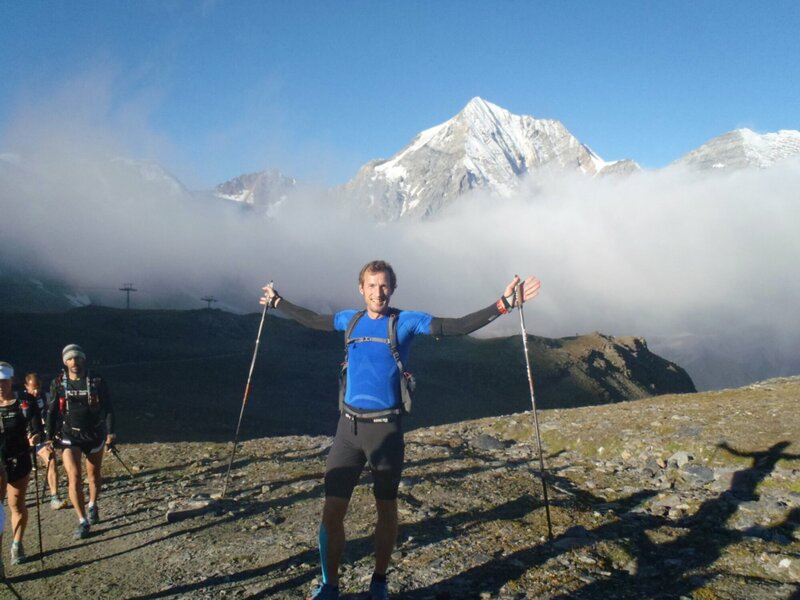 It was harder than expected to climb that last summit of 2900 meters after already having run 29K, but not impossible. 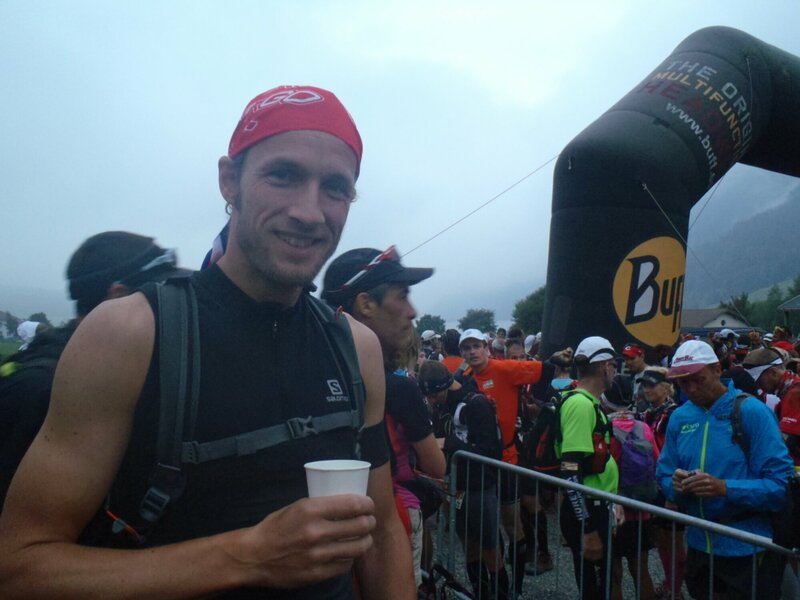 This was one out of 2-3 stages where I appreciated carrying extra energy bars and gels; I did not use them for most of the stages, but having continuous access to energy and minerals at this stage helped a lot. In any event, the extra feeling of thirst and hunger made this last climb of 1600 m (over 8K of horisontal distance) feel longer and steeper than most of the previous ones. It was definitely a learning experience about the signals of the body, but even more important at that moment, was the feeling of accomplishment getting to the top. At this point in the race (particularly the last and next to last stage), completing the climbs had become even more satisfying. 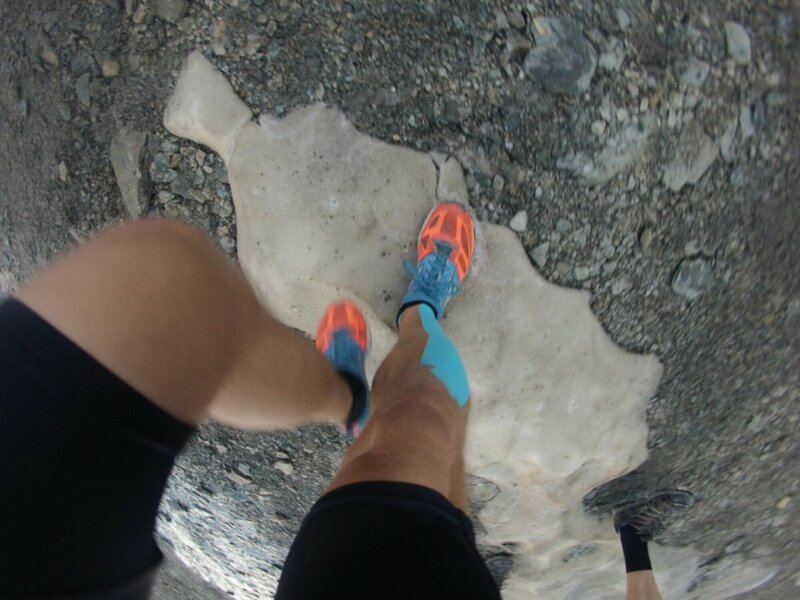 It had felt fantastic before, but getting to these last summits felt like even more of a personal triumph. 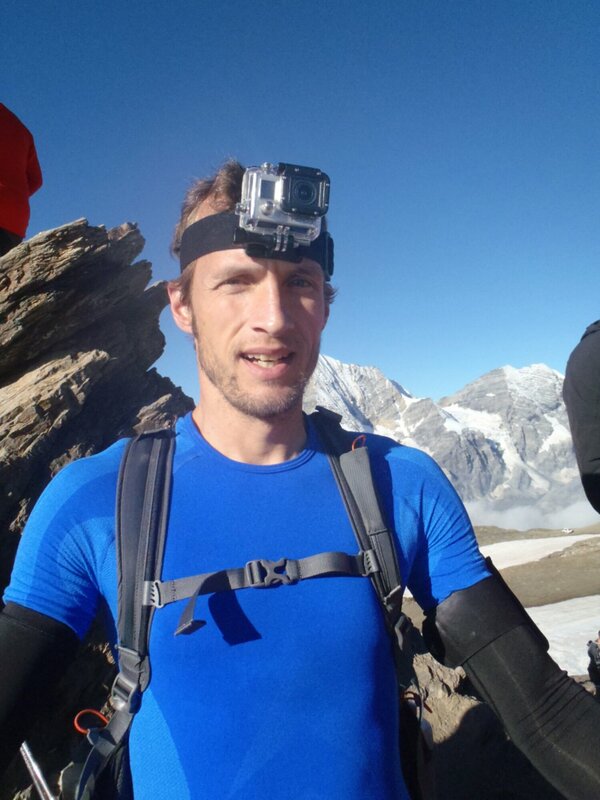 Of course it could be a factor that these were the highest points overall in the race, at 2900 and later 3100 meters, but I think the principal reason was the knowledge that there was next to nothing left to stop us from completing the whole thing, now, not even injuries or fatigue. 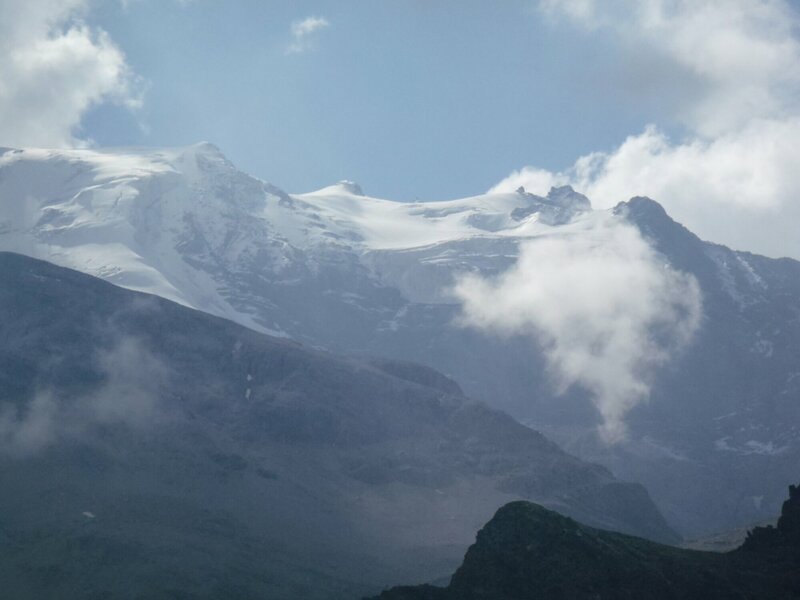 One last stage to go now, this one with the highest altitude of them all – Madritschjoch – and also with the most descent, and the longest continuous descent, of them all.. 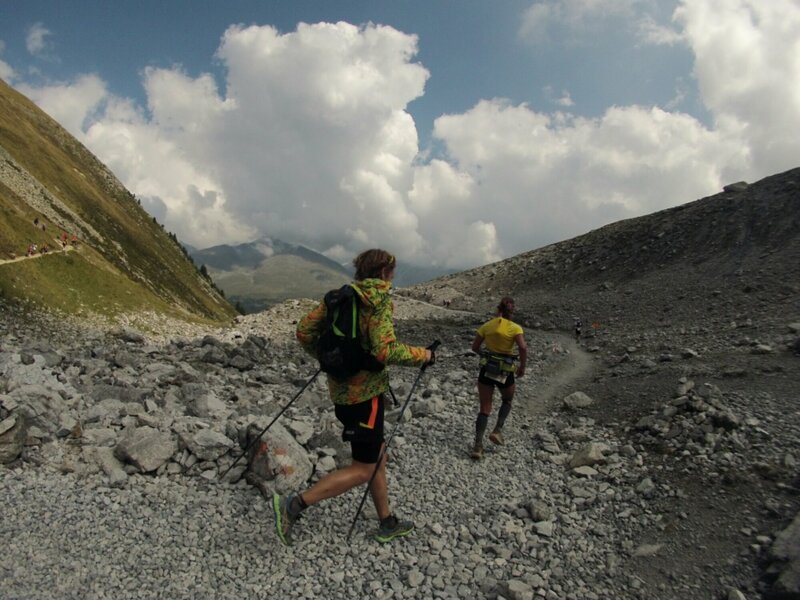 The opening stage of the 2013 GORE-TEX® TRANSALPINE-RUN 2013 is probably a near-ideal warm-up to eight consecutive days of trail running. The course links well-known resort communities via two rather innocuous but still taxing mountain passes (2,214m and 1,688m). The second stage traverses much of the famed Arlberg region, known to most for its world-class skiing. The day starts on extremely steep trails leading up to the summit of the Rüfikopf (2,339m), powder heaven in winter and trail paradise during summer. The day’s second climb to Valfagehrjoch at 2,543m will lead the racers to the top of the world-renowned Valluga ski-run, from where a steep downhill descends into posh St. Anton. 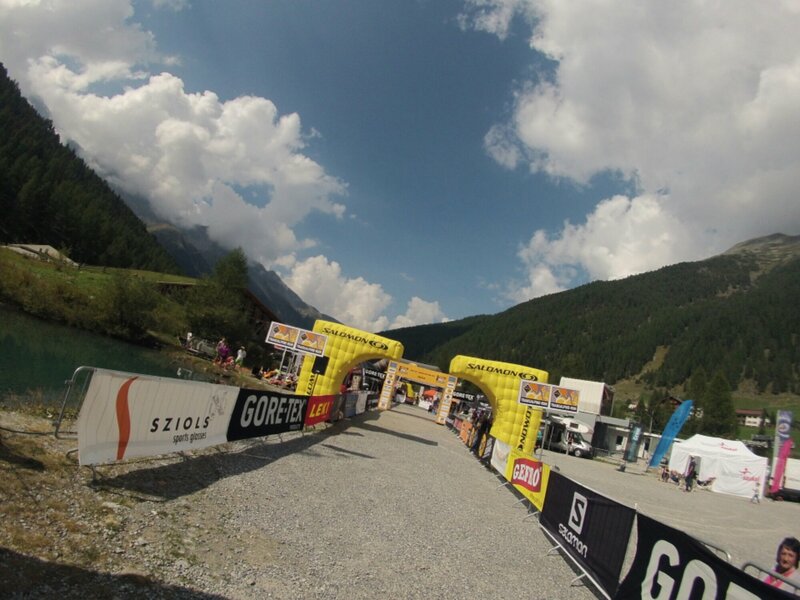 The third stage is likely one of the hardest stages ever run in the course of the nine-year GORE-TEX® TRANSALPINE-RUN history. 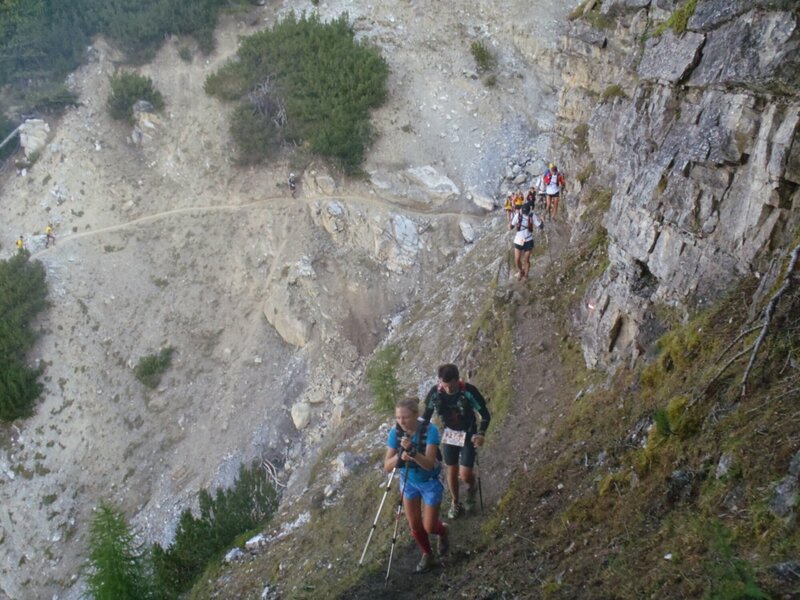 Nearly 3,000m of vertical gain over a distance of only 35 kilometres lie ahead of the racers. This translates into very steep, continuous climbs up two nearly equally high passes that top out at over 2,700m in the heart of Silvretta Range. With 2,015 m of vertical gain and nearly 2,700m of vertical loss, the fourth stage may seem a bit lopsided but 37 kilometers will certainly take its toll before the racers reach the spa community of Scuol. 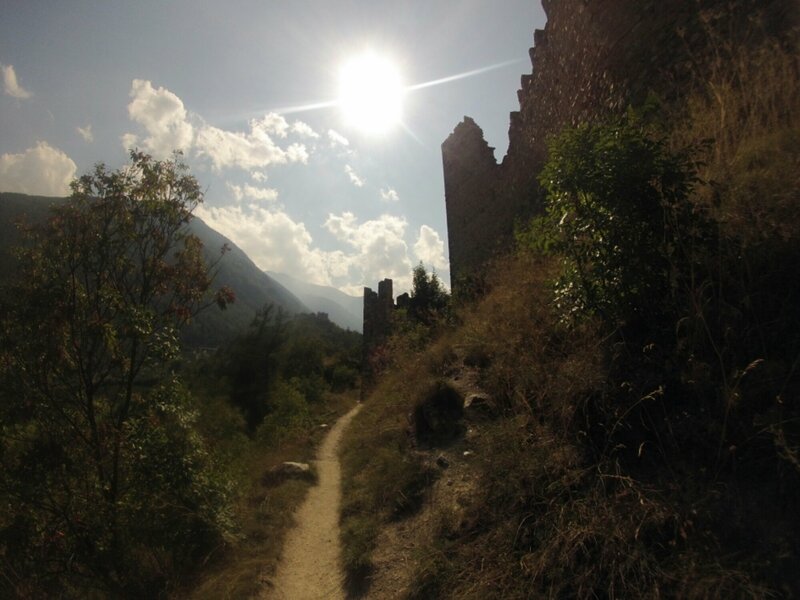 The trails touch the 2,700m mark twice that day, looping back into Austrian territory along the way to take advantage of the finest trails the area has to offer. Weather permitting, breath-taking panoramic views should provide lots of diversion. 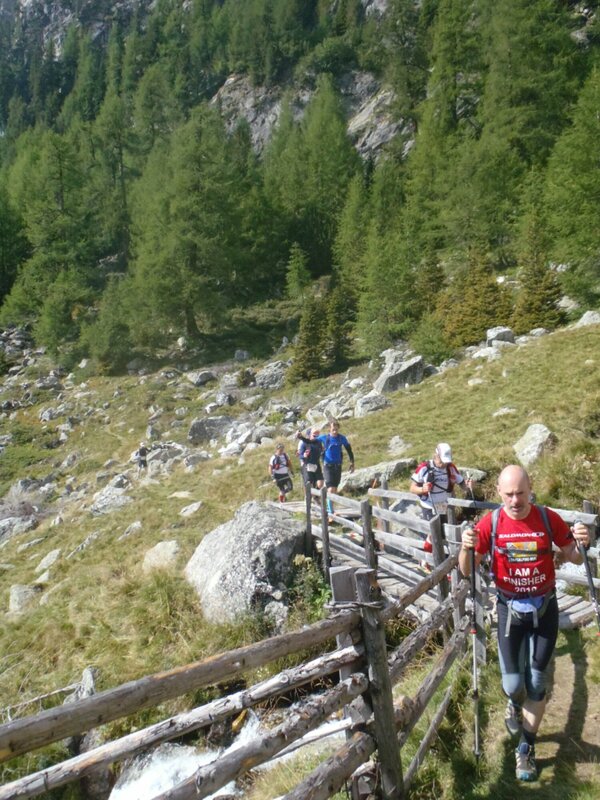 The uphill race from the Rhaetian town centre of historic Scuol up to scenic Motta Naluns at 2,130m is considered by most to be a rest day during the week-long trail race extravaganza. However, it lends itself particularly to specialized uphill sprinters who tend to give it all on that day for a potential podium position – making for an action-packed race day after all. The grind straight up the 6.3 kilometer trail will be well worth even for spectators – if only for the beautiful alpine meadows up high. 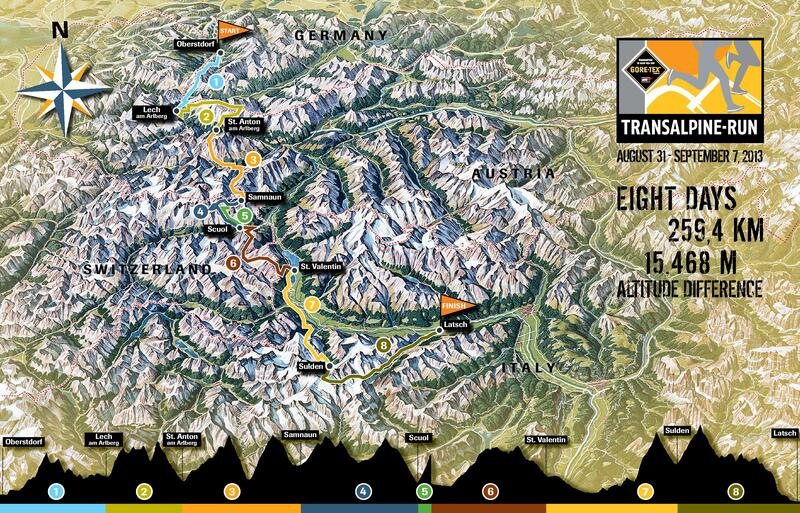 The Sixth Stage finally marks the crossing of the High Divide and the arrival in the Southern Alps. Bella Italia beckons but it’ll be a long and difficult path to get there yet. 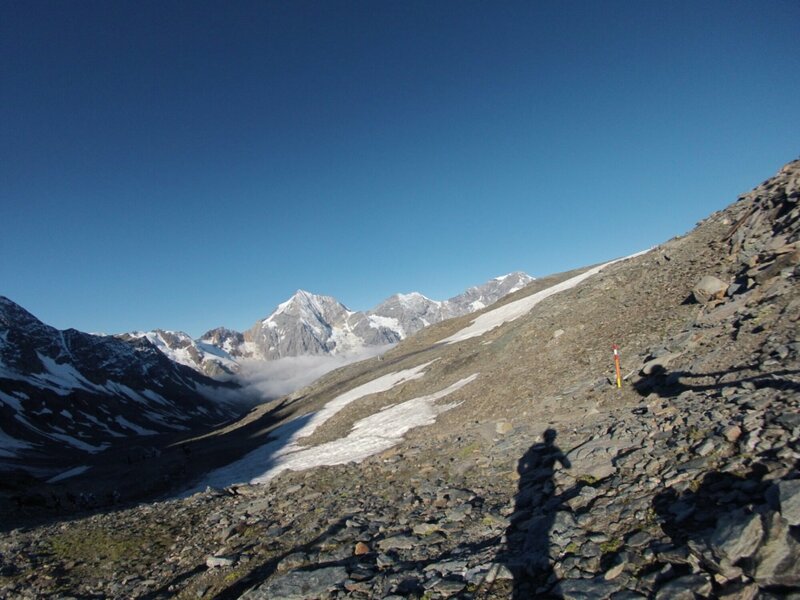 Schlinig Pass (2,261m) forms the gate to the nowadays unmanned border crossing and taxes the racers with a climb of 1,633m – enough to start pushing the envelope of many racers who’ll start showing signs of fatigue this far into the race. 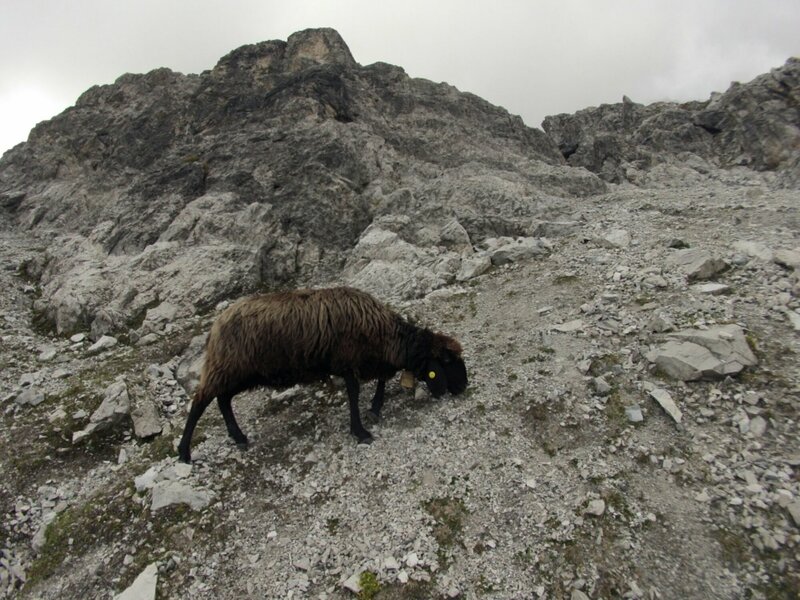 The spectacle of Uina Canyon and the high alpine plateau in the heart of the Sesvenna Range will certainly make up for some of the toil but won’t be able to mask the anguish entirely. 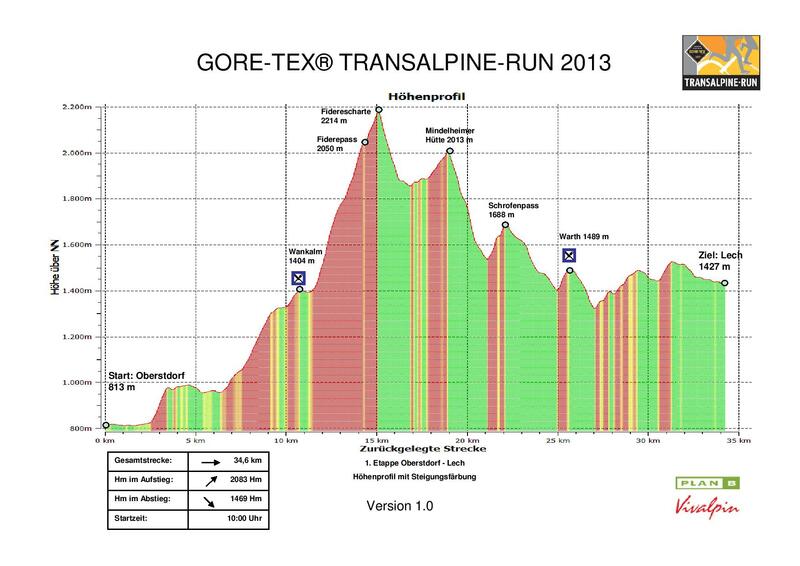 The penultimate stage of the 2013 GORE-TEX® TRANSALPINE-RUN 2013 will also be the longest of the race. The day starts with a lightning-fast downhill to Glorenza before the seemingly endless climb to Tabaretta Pass (2,903m) begins. 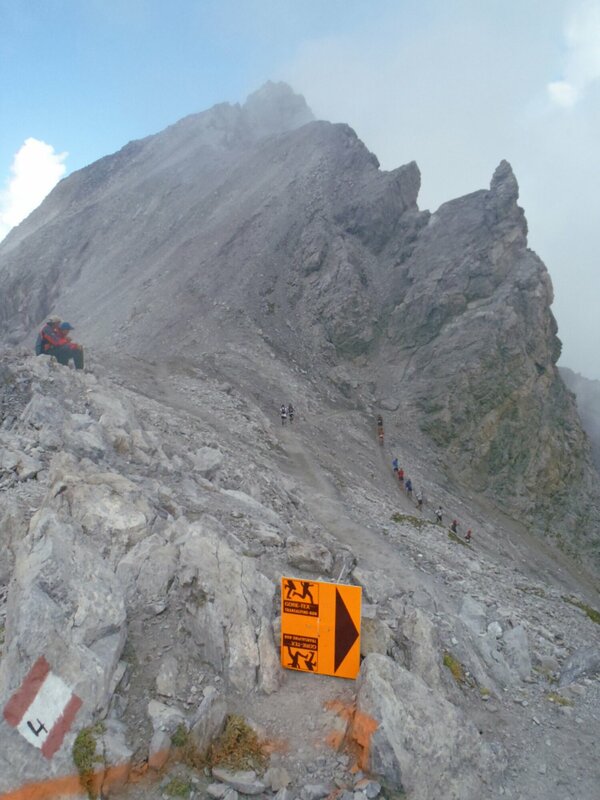 Barely a notch lower, the Bärenjoch (2,871m) will challenge the racers’ concentration on seriously exposed trail sections with occasional fixed ropes passages. The ensuing final descent over 1,000m vertical into the resort community of Solda (Sulden) should feel like child’s play after that. 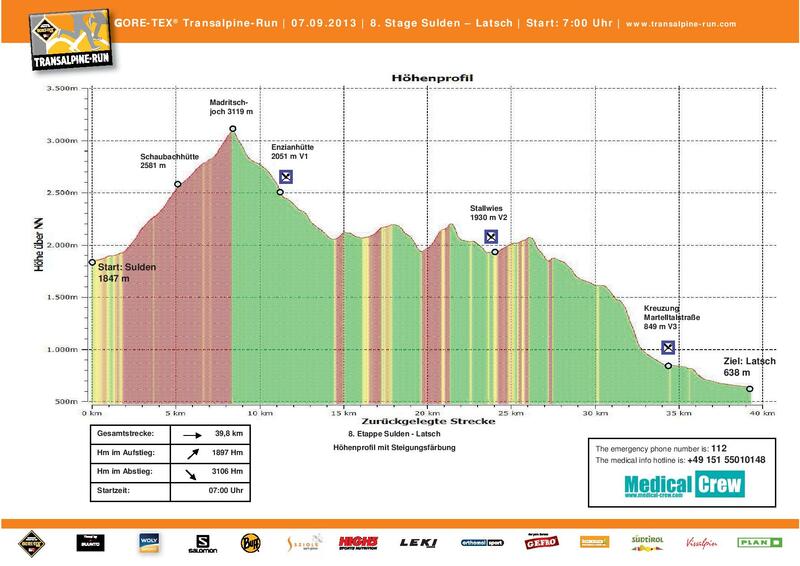 The final stage of the 2013 GORE-TEX® TRANSALPINE-RUN 2013 from the cool subalpine forests of Solda (Sulden) / Ortles Mtn. to sundrenched Latsch in Val Venosta packs two real superlatives: The high col at Madritschjoch (3,120m) will mark the all-time apex of the race and the highest elevation to be reached in the nine year history of the event. The seemingly endless downhill (3,107m drop) from there to the finish line marks another record – namely for longest continuing descent to date. Both highlights should add to the sense of accomplishment at the end of the race and fuel a furious finisher party. Årets mål er to uker unna! To uker med småplanlegging og finpuss og spenning gjenstår. Flybilletter, overnatting, klær og løpesko er i boks, snart er det bare de minste detaler som gjenstår. Årets mål har vært etappeløpet Gore-Tex Transalpine-Run, siden jeg fant (overtalte) en løpepartner i januar i år, og før det, siden jeg leste artikkelen til Rune Ougland i Kondis 09-2011. Transalpine er et etappeløp over 8 dager, som går litt ulike traseer hvert år, men starter i Tyskland og ender i Italia. I år er distansen 260 km, med 16000 høydemeter stigning og 15000 m nedstigning. Kommentarer og forslag til artikler mottas med takk! Fra Oberstdorf til Latsch (Italia), 257,7 horisontal distanse, 15468 høydemeter, over 8 dager. Svar eller ikke svar fra NFIF?